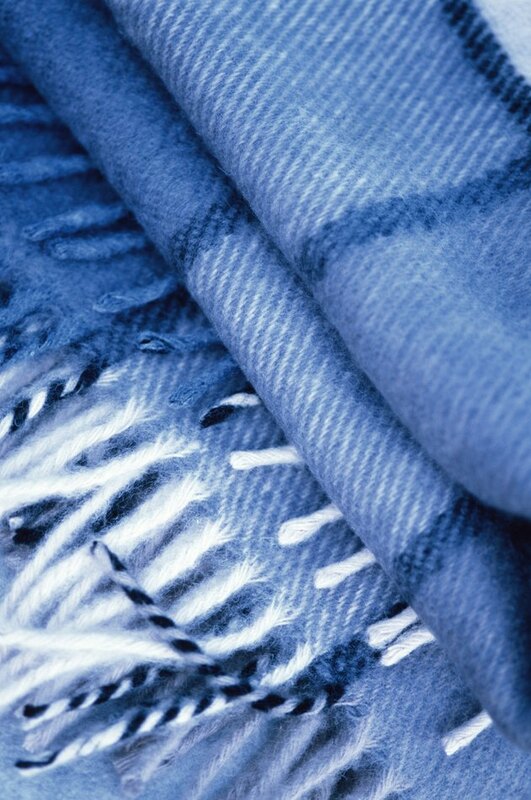 Washing and drying blankets at home rather than taking them to a professional will surely save some money. But sometimes the blankets ball up in the dryer, which causes them to dry unevenly and the fill to become bunched up. Fortunately, you can take a few quick measures to prevent this from happening. Your blankets will come out dry and soft, and the fill will be distributed evenly. Don't overfill the dryer with several blankets, or they will certainly ball up. Dry blankets one at a time and without other garments in the dryer. A blanket needs plenty of room to move around in the dryer, which also allows air to circulate. Overfilling the dryer causes the blankets to wad up. Toss a couple of tennis balls in the dryer with your blanket. Put the tennis balls in a clean, white sock and tie the end. The tennis balls help to keep the blanket fluffy by separating the fill and preventing it from balling up. Check the blanket about every 20 minutes while it's drying. Take it out and rearrange it. This helps to dry the blanket evenly and prevent it from twisting or balling.